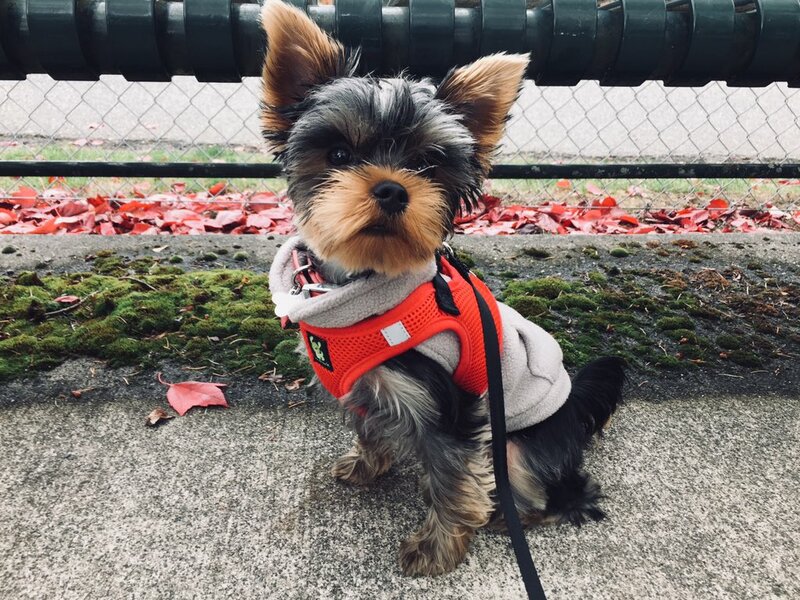 My Yorkie almost never barks inside or out. On rare occasion he has a different little play bark at school while he is playing with other puppies but he doesn't bark at the doorbell, people, other dogs (even when they bark), cats outside, or mystery noises. He doesn't bark at things through the car windows. If something does seem strange to him he has a little low "boof" that lets me know something is up, but that rarely happens as well. However, if he sees reflections in the glass of our windows at night he barks. There was one door with glass panels that would catch reflections from a TV during the summer and I put privacy film over it, which was something I wanted to do anyway. He stopped barking at the door after that. I also put privacy film over the bottom portion of the sliding glass door he barks at thinking he was barking at his own reflection, but it did not help. He is obviously barking at reflections above him. While we were on vacation over the holidays the whole length of one side of the house was glass and at night I had to settle him facing away from the windows with a chew. He is not fooled by mirrors or anything on the TV. He also doesn't bark at reflections on the TV when it is off. He is 8 1/2 months old now and I guess I was hoping he would outgrow it eventually, but he isn't so far. When he barks at the back door I have let him out, and he does a quick tour of the yard and is fine. This usually gets turned into a potty break anyway. He isn't acting afraid or terribly distressed, but other than showing him nothing is out there I am not sure what to do. I have also tried distracting him with a toy or training which works fine too, but it keeps happening. He has just gotten his first freeroam room, which is the kitchen, and I can pull the drapes over the door so he doesn't bark, but maybe someone has some suggestions for dealing with the reflections themselves? How to Learn Clicker Training in 7 Days? Just imagine being able to clicker train your pet in just 7 days (or less) without becoming frustrated or wasting your time.